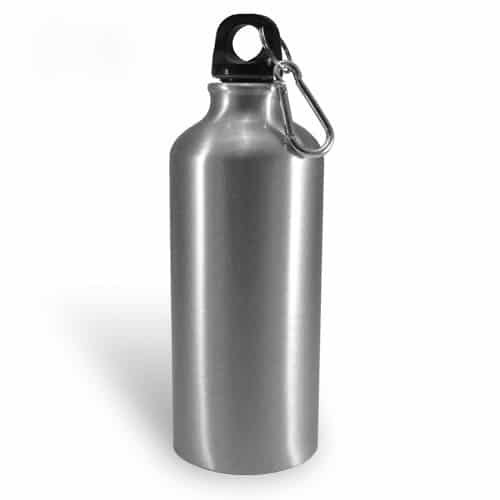 The body of the water bottle is made from aluminium and the cap with mouthpiece are made from plastic. The cap has a plastic piton that allows you to attach the bottle to, for example, a backpack. Choose your design to be sublimated on the bottle.